Now it's summer, my evening pamper routine has changed. Instead of soaking in a hot bath of bubbles with a face mask, it's all about a lukewarm shower and sorting out the skin on my body. Once I'm in the shower, after cleansing it's all about the scrubs! I'm trying to work my way through my big stash and the one I'm currently using is The Body Shop Chocomania Body Scrub. It has a sweet, chocolate scent and the grains are small and concentrated, so you get a decent exfoliate (I hate body scrubs that are too soft and sparse - I like them really scrubby). This preps my skin for my gradual tanning lotion later. I'll then sit on the edge of the bath and give my feet a good scrub too using the Organic Surge Gardeners Hand Scrub*, which isn't just for hands! My feet get really dry and horrible in the summer and with it's olive stones, I feel like this scrub really gets into the contours of my feet. Out of the shower I apply the Garnier Summer Body Moisturising Lotion Sun-Kissed Look in Light on my body (not my face), which is basically a gradual tanning moisturiser. I don't use this every day, but about 3 times a week just to take the edge off my pasty skin - especially my legs! It's builds up a lovely, subtle colour very gradually, so it looks nice and natural. The apricot scent is lush too! Finally, it's all about getting some colour on my nails - both my toes and hands. I love my pastels but I love my brights too, so I just go with whatever I feel like at the time. Some of the polishes I love for summer especially are the Rimmel Salon Pro in Cocktail Passion and Peppermint, Maybelline Forever Strong Super Stay Gel Nail Color on Uptown Blue, Barry M Peach Melba and anything from the Models Own Fruit Pastel range. 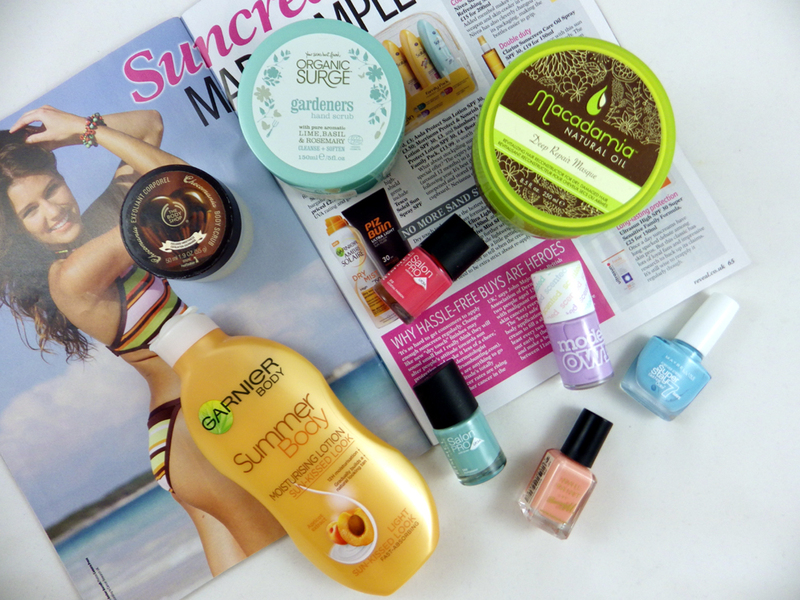 Do you change your pamper routine for summer? 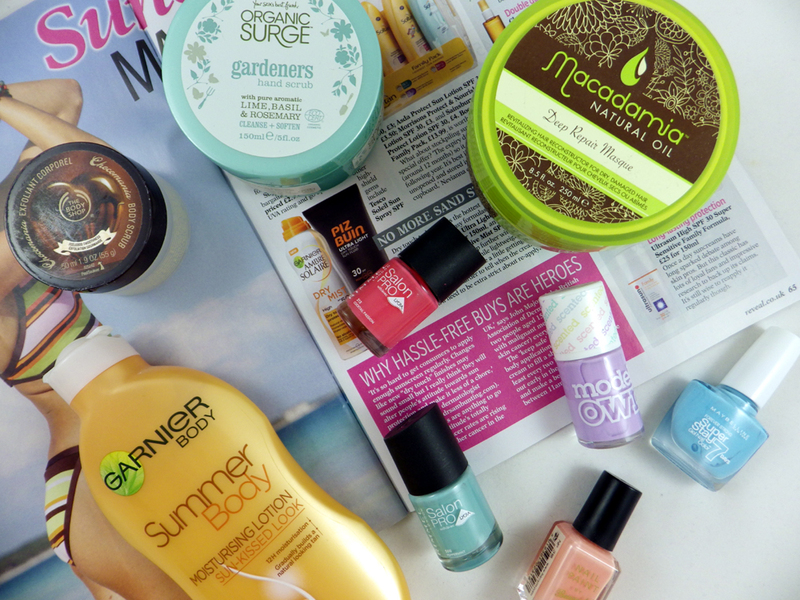 What products do you use for a summer evening pamper? The nail polish colours are all so pretty! I have been dying to get my hands on the Chocomania, I can't resist every time I'm there! Your blog is inspiring me to give it a spring clean ASAP, it looks so fresh and clean! Extremely tempted to try the masque...You always rave about it so much! Wah!